Being the good health conscious mother that I am, I bought a big bag of "power" greens from Costco last week. The bag was full of kale, chard and spinach. When I got home, the idea of making a salad out of the greens didn't sound too appealing though so I thought I'd try putting them in a smoothie. I've done it with spinach with good success so, why not? And besides, I didn't want to waste a whole bag of "good stuff". I got out my trusty blender and put two big handfuls of power greens in the container. Then I added one chopped apple, a handful of frozen pineapple and about a cup of cold water. I blended it all until super smooth and tried it. It actually tasted really good! I can handle healthy greens this way any day! If I have to eat dark green leafy veggies, I'd rather drink them in a smoothie than have to suffer through chewing them in a salad or cooked or whatever other creative idea someone comes up with. 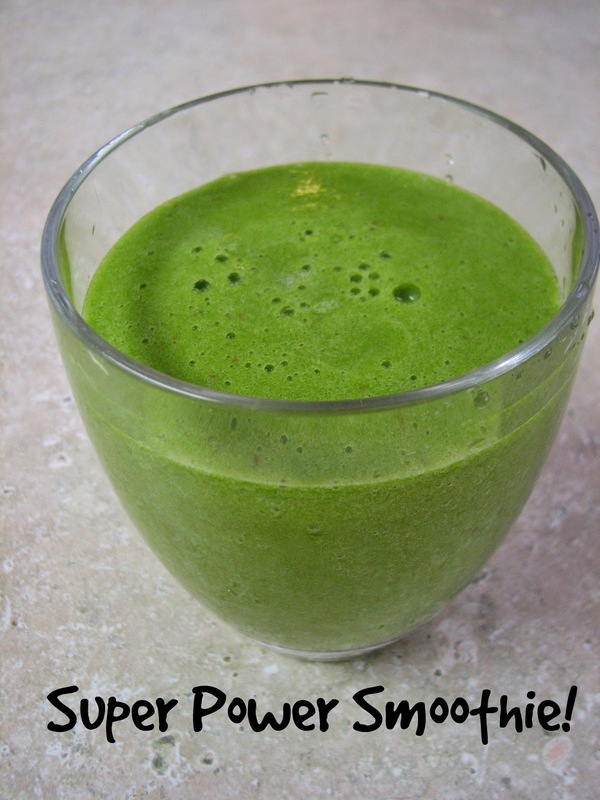 Since May 2013 every other day I am enjoying a green smoothie for breakfast. Plenty of energy, gentle weight loss, though not dramatic, and feeling strong and healthy are what they bring me. For me, being a colorectal cancer survivor (I hope) it is the perfect treatment for stool problems, too. But, the greens like spinach, kale, etc. might cause problems with the blood thickness, as they contain much vitamin K.
That's important for me to know, since I struggled with thrombosis once and am on medication for heartrhythm and have to take anticoagulantia on a daily basis. The green smoothie is my favorite breakfast.